Hello blogosphere. 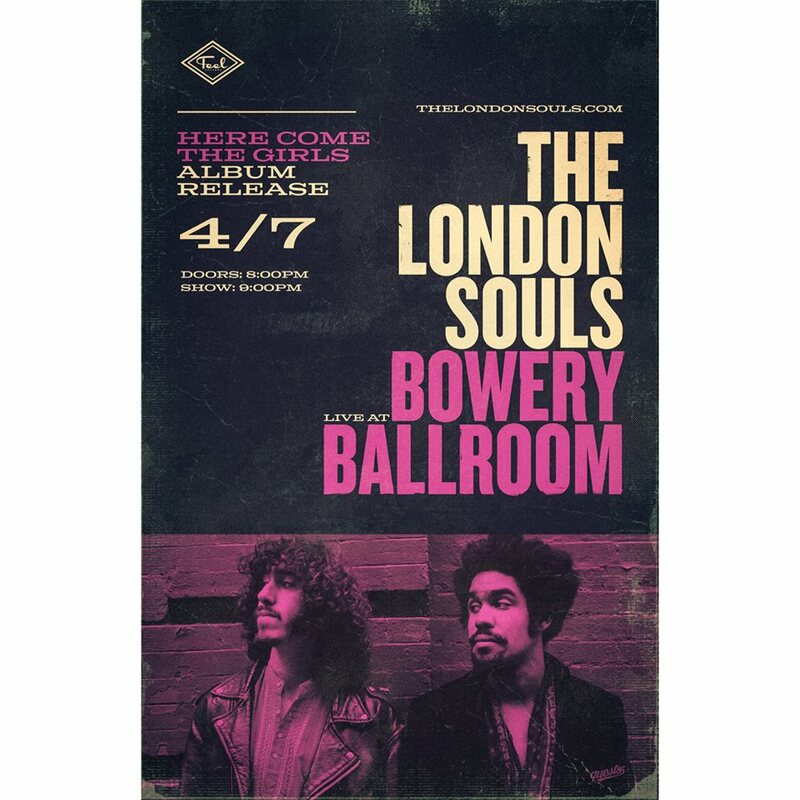 It’s been a minute, but I’m glad to be back in time to let you know about an amazing show happening tonight in New York City at The Bowery Ballroom. Tonight, NY’s very own The London Souls celebrate their sophomore release, Here Come the Girls, out today! If you don’t know these guys, you should start. The album encapsulates everything there is to love about rock ‘n roll: soulful vocals, hooky riffs, heartwarming ballads and face-melting drumming. The best part? There are 13 tracks to enjoy and worthy of multiple listens. If you haven’t gotten tickets yet, grab ’em HERE. Another perk of tonight’s show is The Skins are opening! Doors at 8pm, show at 9pm. WWRSD? : Rocker Stalker Presents TWO SXSW Shows!! !